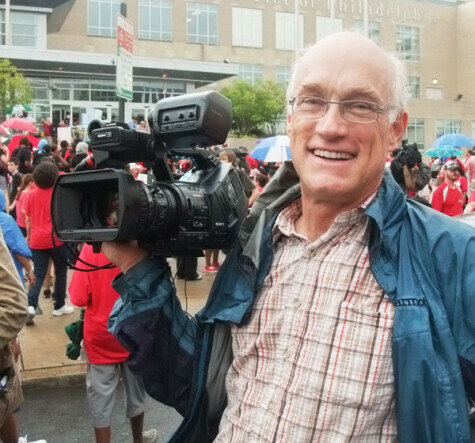 Roger Grange has traveled the globe as a cinematographer for nearly thirty years. Specializing in documentaries, he has filmed subjects ranging from deep ocean volcanism to social entrepreneurs as well numerous narrative shorts and feature films. In 2009, Roger was Director of Photography for Barbra Streisand’s platinum live DVD “One Night Only”. Since 2010, he has been collaborating on a film about climate change in the remote villages of northern Siberia and the high Andes of Peru. He received an Earthwatch Film Award for Co-directing and filming “The Quiet Revolution”, a PBS series about using innovative ideas to combat poverty in southern India and Bangladesh. He was co-director and cinematographer on “Megamall”, a documentary about land use, money, power and politics in West Nyack, New York. He is currently working with Jon Fein to develop a television series, “For Good”, about human centered design.